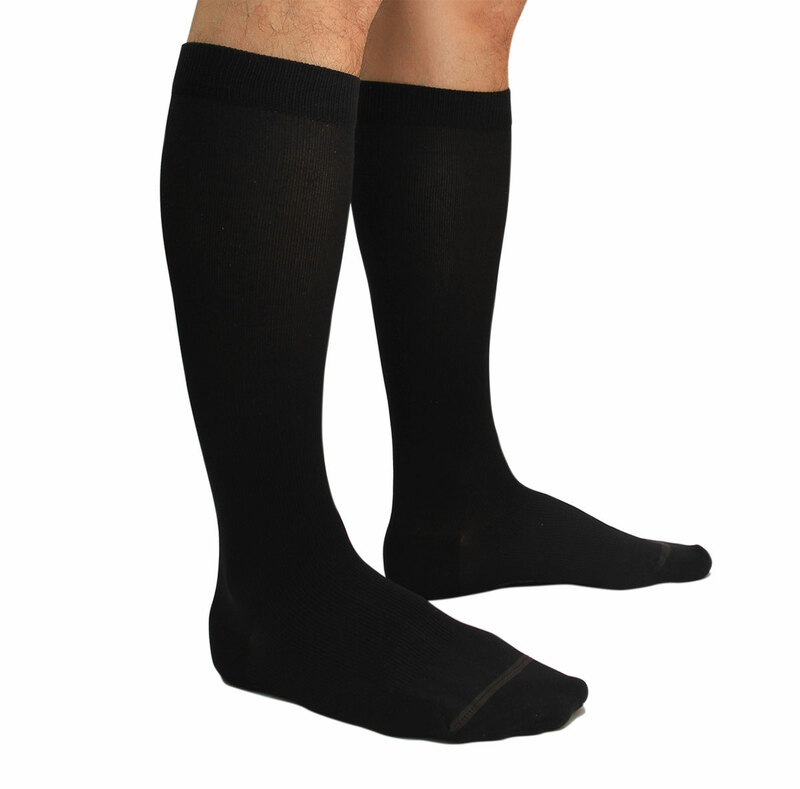 TXG’s Classic Medical Compression Stockings (also known as Pressure Stockings) are comfortable graduated unisex medical compression stockings that are perfect for everyday wear. 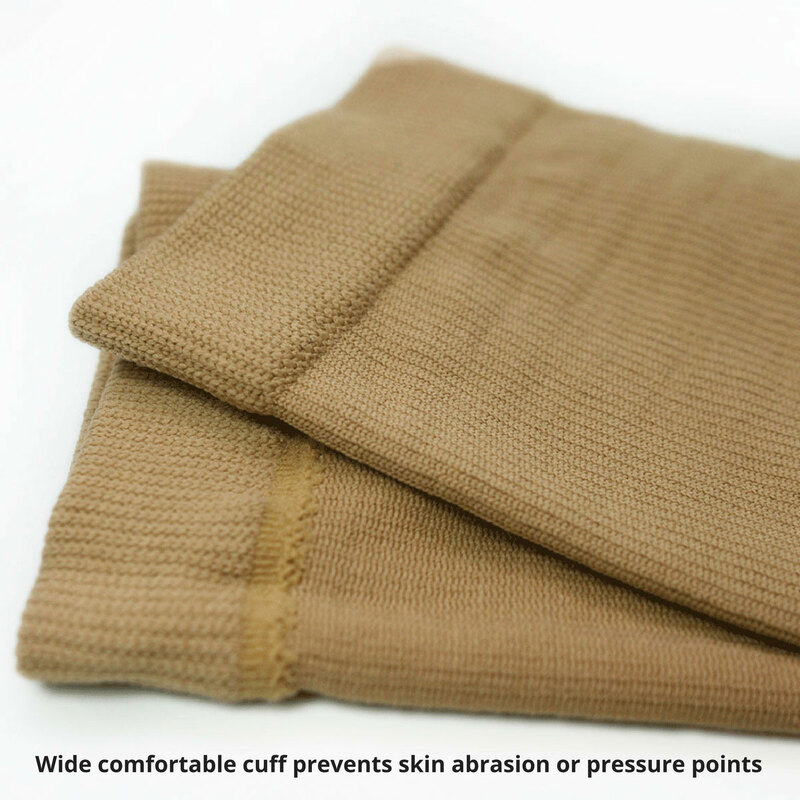 Designed with a wide comfortable cuff and a blend of Micro Nylon, Lycra and Polyester fibers resulting in a soft non-itchy and irritating fabric against your skin. 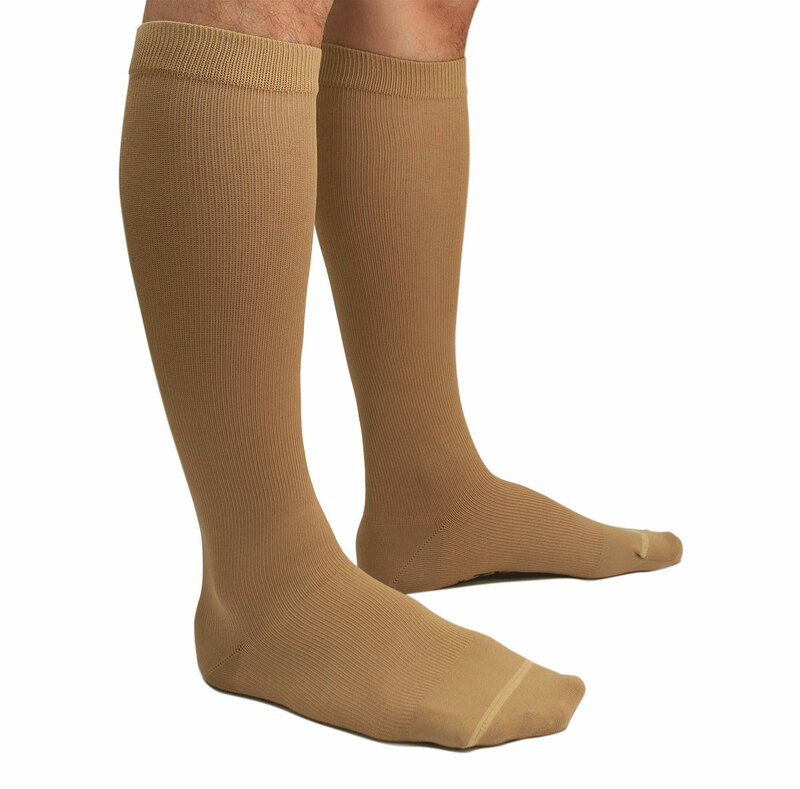 If you also have a rubber (latex) allergy our medical compression socks are perfect for you. Our socks are long lasting, easy to clean and quick to dry, making them the perfect sock for everyday wear or as a pressure sock when flying on long-haul trips. Ready to experience the benefits of TXG Classic Pressure Socks, starting today? These Classic Pressure Stockings (medical compression socks) are perfect for you if you’re looking for affordable yet comfortable graduated compression stockings. Simply choose your size, compression level, colour and add to cart at the top of the page to have your pressure stockings (socks) delivered to you anywhere in New Zealand with our free 7-day standard delivery, or you can upgrade to Express 2 to 3-day delivery for just $5.99. Rural deliveries take an additional 2 to 3 working days. Check out our FAQ page, or give us a call or send us an email, we’re here to help, contact us. Gentle Compression Level TXG Pressure Stockings (Socks) – 10-15mmHg is the perfect compression level for compression-wear beginners and can be worn comfortably for long periods of time. My socks arrived safely and beautifully packed. I’ll try these out, see how they go and then perhaps another order. I will certainly recommend you to my friends if they need to buy support socks. Wow Great Prompt trade very happy cheers!!! I’m about to travel overseas so will definitely comment on my new socks after the trip as I suffer from severe ankle swelling. I have to say I am most impressed with your customer service and prompt delivery and communication to date. Fantastic Trade. Recommend this seller to everyone! I purchased the Classic Compression socks for my Spider/Varicose Veins they are suprisingly comfortable. They make me feel secure and, so far, they seem to be effective. It may be too early to be able to give a thorough account but I would definitely say that, so far, I’m very glad that I decided to give them a try and that others should seriously consider them to. Great product, breathable, no red line at top of my leg. Thanks for an excellent product. I have received our compression socks thank you, your service is absolutely fantastic. I would have no hesitation in recommending your company and service.The lady I originally spoke to was also fantastic and so helpful. We tried our socks on in the weekend and what a mission putting them on but once they were on they were great. Thank you again for your great product and service. I already have a couple of pairs of your socks and they are great.Having read the story on the puffer fish feet I reckon I have a better one.I’m known amongst my travelling friends for previously getting huge ankles after travelling. Then taking every advantage when landed to put my feet up and wear long trousers to cover them up. However your socks were a game changer as after a flight Christchurch-Auckland-San Francisco I was shopping for dress shoes three hours after landing (and I had travelled economy so no foot rest!) Now a pair on and a spare in my carry-on are my standard for travelling. Pity I didn’t have them when I went to Italy – I could only window shop for shoes there! Hi thanx our socks arrived and thanx for awesome & quick service. Any of our friends that are going overseas I will pass on your link and tell them this is where to buy them from. Thanx again. Not worn on flights yet but have tried them on for comfort and sizing etc. They seem to be well made, comfortable to wear and competively priced. I’m very happy. I bought my socks for a long flight and havent used them yet. Customer service was great and I’m extremely satisfied. I had no circulation problems on long haul flights, they were comfortable/high quality and did the job. Very good customer services. Thankyou they arrived this morning – They are a lot more comfortable than my other brand of and I have dry skin and so far very pleased with the way I feel. I had a hip replacement in September so thought they might be a good idea. Very impressed with your follow up and the time it took to get here as I have been in sales and PR well Done!! I suffer from Odema and I found my socks reduced my swelling and fatique. I’d recommend them becaue they work, they are high quality and your customer service is awesome. These are my first compression sox. Finding basic info like size and strength was helpful. I have worn them once. I’d recommend TXG reasonable price, quick delivery, local and the info you provide. Just a wee message to say a massive well done and thank you. Not only did the website’s product information, description, free shipping and non-cringeworth price make my first compression sock purchase extremely easty but then they arrived less then 48 hours later (fast standard shipping, hallelujah!) along with the cutest thankyou letter, personalized note, instructions, complimentary notepad complete with ribbon really topping if off and put a smile on my dial. 10/10 nailing business-customer relations, 10/10 would recommend and 10/10 for compression sock comfort (yes, Im testing them out around the house at 7pm). I’m sure my first prenancy first long haul flight will be a lot comfier and safer with these bad boys! Have a great day and keep being outstanding 🙂 Absolutely include my feedback on your website, I think its just as important to give positive feedback and praise where its due!. By the way airplane cankles and blood clot paranoia were at a minimum, thanks team! Very very good, very high quality socks and you have great customer service. Firstly let me say how much I appreciate your great service and follow up (and your great sense of humour) The wording in your email certainly put a smile on my face. Whoever chose those words has a great idea of what customer service is all about and deserves a chocolate fish for their efforts!! I’ve received the socks and I’d like to say that I’m extremely impressed by the care you put on the process, by the gift and all the little details that made my day more special!! I never thought that purchasing compression socks could make me feel like that! Thank you so much and looking forward to buying more socks from you soon! My socks reduced my severe oedema. I’d recommend them as they worked for me and are good quality socks. You have great customer services and I do not think you need to do anything else! Thanks for the amazing product from a very happy customer! I had been having swollen and sore legs everyday in the afternoon. I felt pain of my legs after a long walk. I also felt itchy and numb around my ankles. I realized that I have poor blood circulation. Doing moderate exercise did not ease that much. I observed a significant difference after wearing TXG compression socks for only 8 hours. No more swollen and sore legs. Itchiness around my ankles – was alleviated. I put on my compression socks soon after I got up in the morning and took them off around dinner time. I am more energetic and lighter. I have lost some weight, apparantly that was water as I used to have water retention problem. I would recommend TXG socks. They work as what they are advertised for. It is easy to put them on and very comfortable. Thanks Team. Socks arrived and I’m pleased with them. You take your marketing seriously. Thankyou!! Just returned from a trip Up the Wanganui River and walking to the Bridge to Nowhere etc. Very pleased with them. My socks have been worn to Brisbane (prior to xmas 2017) and returned to Christchurch in 2018. They did the trick! Keeping my ankle swelling down. I suffered from badly swollen ankles during long flights. The socks were just amazing. My feet felt incredibly comfortable during the flight, didn’t feel heavy at all and when I landed my ankles were as good as when I boarded the plane at the very beginning of my journey. I would definitely recommend these socks, my feet and ankles didn’t feel tired for a second and it made a huge difference feeling much more comfortable on my flight to Europe. I found the Customer Service very professional and with a special touch that most companies do not provide anymore. The letter and the way you send the product makes you feel the love you have about the business. I would absolutely recommend TXG socks. Excellent marketing, true to what they really are like! Excellent packaging, amazing price in comparison to other brands. I had results within a day, they are comfortable to wear, my previous brand were hot, uncomfortable and itchy and didn’t give me the results I got within a day of wearing my TXG Classic socks. They are amazing, great strong quality and comfortable. I will not shop anywhere else from here forward! I am extremely happy and will be ordering more. Your correspondence and set up is brilliant, very professional and so diligent! It has been a pleasure dealing with your company! Absolutely no improvements you could make, Exceptional! Stay just the way you are! Thank you very much, the socks arrived and they fit me very well. They certainly help with my circulation. I was very impressed with the nice presentation. It felt as is I was receiving a present. Thanks again. I would recommend the classic compression socks, they are very high quality. Very good service, quirky. I have shallow varicose veins on my ankle. My classic compression socks are amazing at the end of the day my ankle is still trim and slim which hasn’t happened for years!! Also no more severe sensitivity. I would absolutely recommend TXG compression socks they give the perfect amount of compression from your toes up. You’re doing EVERYTHING right. Excellent product. Excellent customer service. Thanks Heather!! Very happy with purchase. Speedy response and delivery. Highly recommended and will definitely buy again. My TXG socks delivery was quicker than I thought it would be which was great. I haven’t tried them yet only want to put them on before I leave. Read the instructions and I will follow them to the letter. So far with the help and information from you guys I feel confident more so than with all the other brands I’ve bought and tried. Thanks. I have just finished my overseas trip and the socks I purchased from your company were excellent. I will defo put the word out as I was very confident wearing them. So well done to you and your team and excellent product. I work in a lab and I stand on my feet most of the day and my right calf was getting sore. After wearing the stockings for a day I didn’t feel any pain in my calf. The next day I thought I’ll try not wearing them and the pain came back. If I knew someone having the same problem as me I would totally recommend TXG compression socks the products are great and the customer service was great too. Having just had an op on my varicose veins I found after wearing my compression socks that my legs were not so sore after standing at work for hours on end. I would recommend TXG socks they are very comfortable to wear and easy to put on. You are doing everything right. The quality of your product is excellent and the little notes you send with your products certainly helped to brighten my day. It was really appreciative to know that a business cared that much about their customer. Never before have I experienced superlative service such as this. Our socks have arrived. Thank you so much for your wonderful service 🙂 Please pass on how lovely you have all been to deal with particularly how prompt the socks arrived and how friendly you guys are. The socks arrived safely and they are great. Your service has been excellent !!!! Wow didn’t you all do well? My socks arrived yesterday beautifully packaged. We took your tip and took them out admired them and decided to give them a try for a few hours. I have to say that within minutes I felt the benefit that I had hadn’t realised I needed. So impressed I decided to wear them again today and intend on going for a long walk very shortly to really put them to the text. THanks for the friendly and exceptionally great service. My compression socks are good and tight but they’re a bit short. I would recommend TXG socks they are pretty good quality. Thank you – I don’t think I’ve ever had better or more friendly service. Well done to you all. The socks have arrived thank you so much. They were on my doorstep the next day! The whole purchasing process was a breeze and the package arrived in perfect condition and beautifully presented. Many thanks again. My socks have arrived and I’m delighted. They will be winging their way to bonnie Scotland and back to New Zealand. I have told a few friends about TXG so maybe your lovely socks will be going to their place. I have never had such amazing customer service! I will certainly recommend you to anyone I know who is travelling. Thanks very mcuh I have received my socks. Wearing them today. Feels really good and legs feel secure. I have a medical condition called POTS that causes blood pooling in my lower limbs. Compression stockings are recommended to try and help this. I am finding I can be on my feet longer and my legs are less tired feeling. I would recommend TXG compression socks they are a great product – easy to wear – comfortable and good quality. Customer service was absolutely amazing. I literally had my compression stockings within 24 hours of ordering them. My compression socks are helping with stabilising my blood pressure. I would recommend them they are good quality and the serrvice is exceptional. I am thrilled with the service and customer care. Thank you for your presentation and for the Sox – they are excellent thanks. I am very impressed with your whole service and product explanation and I am sure they will be a great asset for travelling. My socks certainly did arrive in fine fettle – purple ribbon and all. I was most impressed – thank you so much. I’ve been wearing them every day since and have experienced relief for the problem for which I bought them. Thanks so much for giving a wonderful customer experience. When I need more socks or if I need a different kind I will order from TXG immediately. Thanks again. I’m impressed. It took one day for delivery. And the note the gift the packaging I’m really impressed. Thank you again. I was looking for something that was effective and economical. I had a DVT and the compression socks keeps my leg from swelling and feeling tired. I would recommend TXG socks – the service was prompt – presented beautifully and did everything it promised. I have no complaints. Very high quality customer service. My parcel arrived safe and sound. Thank you for the very quick service. The experience with your firm has been quite amazing the way everything has been presented. I want to give you some feedback on the flight socks my husband and I ordered a while ago for our upcoming flight to Edinburgh. I decided to wear them a couple of times to get used to them. I love them – especially since I noticed that my knees are a lot less painful ( I have osteoarthritis) when I wear them. Not sure why this would be – but I am certainly not going to complain. Excellent – fast- courteous – packaged well with a little extra effort made with a bonus and a little humour inlcuded to brighten the day. Highly recommended. I have only worn them once around the house after receiving them although a bit of a challenge to put them on – once on i found them quite comfortable. Did find at the top they were tight around the calf and knee because of the size of my legs and i have to fold them over for a bit of relief. I will do the same while flying. this is no reflection on your socks it is just the way it is with my legs. 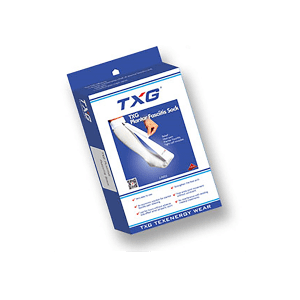 I would recommend TXG socks – reason: the excellent service i have received from yourselves the website was very easy to navigate -delivery was prompt and your after sales contact was excellent. I cant think of any improvements you could make – i was very impressed with customer service. Well done. I needed compression socks that had good support – fitted well and looked good for a reasonable price. My swollen ankles ( the result of varicose veins due to having 7 large boys!!!) are kept at bay as a result of wearing these socks. Plus my legs don’t feel sore and tired as they did before. My husband also wears TXG socks. I would recommend them as they are very comfortable look good and are not as expensive as some other brands. Your customer service is great and I cannot think of anything else you could do. Having not worn them previously I was unsure if I had the correct size. Even though your size chart was specific I crossed over in ankle size and calf size. That was just a small issue and are very happy with the size I finally chose. Have not worn them on a long flight as yet. I would recommend them. Calculating the right size is better than grabbing a pair that only has a shoe size at a pharmacy or similar outlet. Comparing them to the ones my husband grabbed at airport prior to a previous flight I would have to say your ones seem of much higher quality. Your customer service is outstanding. It was like getting a gift from a friend. Fabulous!!! The socks have indeed arrived and are well and truly in use!! And Wonderful!! I was looking for compression socks that were comfortable but still does the job. The socks give me better circulation as well as providing support. I would recommend them as they do the job and is comfortable to wear. The customer service is great. Delivery was very prompt. Information on the different products were good. I was looking to avoid blood clots while travelling. I found the classic compression socks comfortable to wear and less noticeable than other brands of compression socks I have worn. I would recommend them on the basis of comfort and high quality. I have already recommended the compression socks to my daughter – they have the advantage of a wider top which helps with her work she is standing a lot. Customer service I found was excellent and I like the packaging and sayings that come with the sox. I have unilateral pitting oedema. The classic compression socks have made wearing shoes for work much more bearable. Just wearing regular socks previously I often couldn’t make it through the day without having to take my shoes off for some relief and oftern it was a struggle to fit my feet into my shoes in the morning. I would recommend the socks – they do what it says they do on the box. I want to order another 6 pairs. At this stage my socks are tight and hopefully will stay that way. I would recommend them because they are comfortable and cool to wear and high quality. 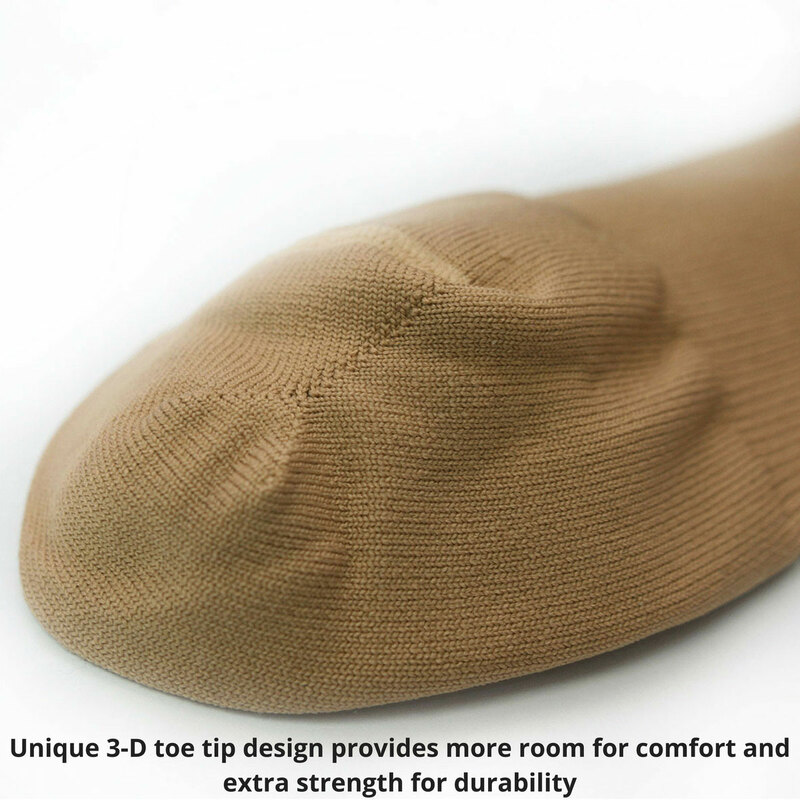 I would like to see a higher compression in the toeless socks if possible. Have received the Classic compression socks today. Thank you for the prompt delivery and the friendly personal service! The information sheets you sent were great! I have just put the socks on and they feel good. I intend to wear them for a couple of hours everyday to get used to the feel of them. Thank you again. Thank you very much my compression socks have arrived and I am delighted with them. I cannot tell you how pleased I was when my recent sock order arrived and I put them on – exactly what I wanted! This was cemented with a noisy street parade and a procession with vehicles tooting horns – such was the intensity of the celebrations. I would like to order two more pairs of exactly what I have received. Socks came today thanks. Very happy with the product and the bits and pieces that came with. I will definitely be recommending your socks to others. I have tried a few compression socks over the last 10 years – so far these are the best I have bought and cheaper than some of the inferior brands of compression socks I have tested. I would recommend them. Just went back to buy 2 more pairs and horror of horrors (OUT OF STOCK). The compression socks ease the problems with my Achilles tendons. You guys are providing exceptional cusotmer service and relations – its over the top but great. I got mine last week. The socks are so great I didn’t feel any soreness on my legs while doing my shift. I would highly recommend this product. I will place another order. Thanks TXG. Good morning, just to say how impressed I am, Thrilled with the socks, I feel very comfortable in them and today will be my first day wearing them at work where my legs usually ache. I will be placing another order tonight. Thank you again for that personal touch! I have an elevated risk of DVT due to my birth control. My travel doctor recommended that I get travel socks, but having bought cheap ones from a department store before, I wanted something that would give me confidence while travelling. I’ve also got some pretty chunky calves so I wanted to make sure I got a good fit. The benefits I found from wearing my TXG socks was no swelling of my feet, no soreness at all and no DVT. I would recommend TXG socks, the buying process was easy and I was confident I was buying the right size. The socks arrived queickly and fit like a very tight glove. Price -wise, it wasn’t much more than the other socks I’ve seen in stores but the extra touches were nice. Thanks for my new stockings, these days can’t do without them & TXG stockings are the best I have found. Firm and very comfortable to wear. I will recommend to anyone I know who needs compression socks. Many thanks Heather for your help. I received my order yesterday, much sooner than I had expected! What wonderful Customer Service; the socks were shipped to me from NZ because one item was not available in Australia. I can assure you that I will be recommending you to anyone who is interested in your products. I am also most grateful to your personnel in Australia who took my order. Once again many thanks for the wonderful service. I bought my compression socks because I was pregnant and wanted to reduce the risk of DVT. I looked at them in the pharmacy but there wasnt enough information provided on the box. The pricing of the TXG socks was much more desirable than the ones sold in pharmacies and the website contained good information on materials used, compression information etc. I would absolutely recommend TXG socks due to the good product details provided online and pricing, also the quality was good. However, black dye does run out after the first use so for travellers to be aware to wash TXG socks with dark colours or alone. I found the website infomative and product and delivery experience for me was great. I felt oike a valued custoemr when i received my personalised and friendly message. Thanks, you made my day. Locally we can only buy compression socks from the chemist, they are expensive and do not have a very strong structure or support i.e. laddering of the socks and only 15-20mmHg. The features I like of the TXG socks is being able to get a higher mmHg of 20-30, as well as the structure of the socks (comfy fit). I drive all day and the benefits I get from the socks are reduced swelling and pain in my legs. I will definitely be recommending TXG socks to whom ever I come across who needs them for all the reasons mentioned as well as the price. I am very happy with the product and fast delivery. They are better quality than what I was epecting since I have ordered products online before and received cheaply made products at high prices. Thank you once again. I will be contacting TXG with future sock orders. The reason I have brought your socks is that after a number of what seemed like minor ankle injuries in my youth, I have developed arthritis in my right ankle to the point where I believe Im heading to either an ankle fusion or an ankle replacement within the next six months. I think twice before even walking 100 metres. Your socks are the only thing that I have found that controls the swelling in my ankle and leg. I wear them constantly when Im awake, although they are getting a bit hot now that we are moving into the warmer seasons. Im not sure how I will get on in them during the full heat of a Central Otago summer. I purchased a pair of your classic unisex compression socks a couple of weeks ago to help relieve pain from varicose veins. They are comfortable and easy to get on. Since wearing them I’m not as tired and achy at the end of a long day on my feet. I’d highly recommend them and think that you guys have the best customer service! Very helpful and easy to deal with. I loved that you sent me samples so I could find the right socks for me. Keep up the good work! Just thought I would let you know how the TXG Classic pressure socks I received a few weeks ago are going. I have found them very comfortable to wear. I have been wearing them to work and since wearing these socks and my TXG Comfort Women’s socks there has been a reduction in ankle swelling. I haven’t used my sports socks yet as I am still recovering from surgery on my Achilles Tendon but hope to be back in action soon. Once again thanks for your excellent service. I’ve been meaning to email for a while to thank you for sending through the compression socks I ordered from you a wee while ago. The socks were great – exactly what I was looking for. I loved the extra care you took with the packaging and messages. Thanks again and I’ll be sure to be recommending you to friends. Last year we purchased two pairs of travel socks for our European trip. This entailed visiting a number of countries by air. The TXG socks were excellent in keeping the circulation flowing and kept any ankle swelling down. As an older couple this was terrific. This year my wife purchased some footless socks. These have proved to be useful in reducing tiredness in her legs from standing all day. So, thank you. I am more than happy to comment on my socks. 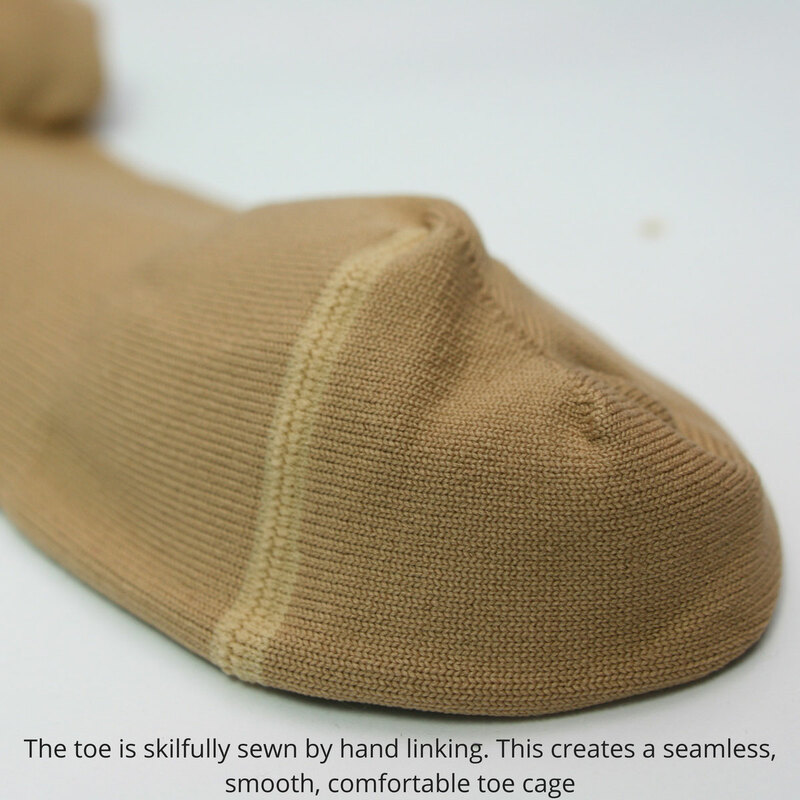 The sock does exactly what it was intended to do and it reduces the swelling I have experienced. More so I expect to get further relief when I am travelling by air internationally in June. I will happily endorse your socks as being effective and comfortable to wear. Cheers. I would like to sincerely thank TXG for their wonderful service when I was recently purchasing compression socks for travelling. The individualised service that meant I could try samples even though I live rurally, the range of products available and the excellent support from Heather (chief sock checker) were all fantastic. I’m a happy customer. My TXG socks are easy to put on and easy to clean and my feet now feel comfortable. I most certainly would recommend TXG socks. 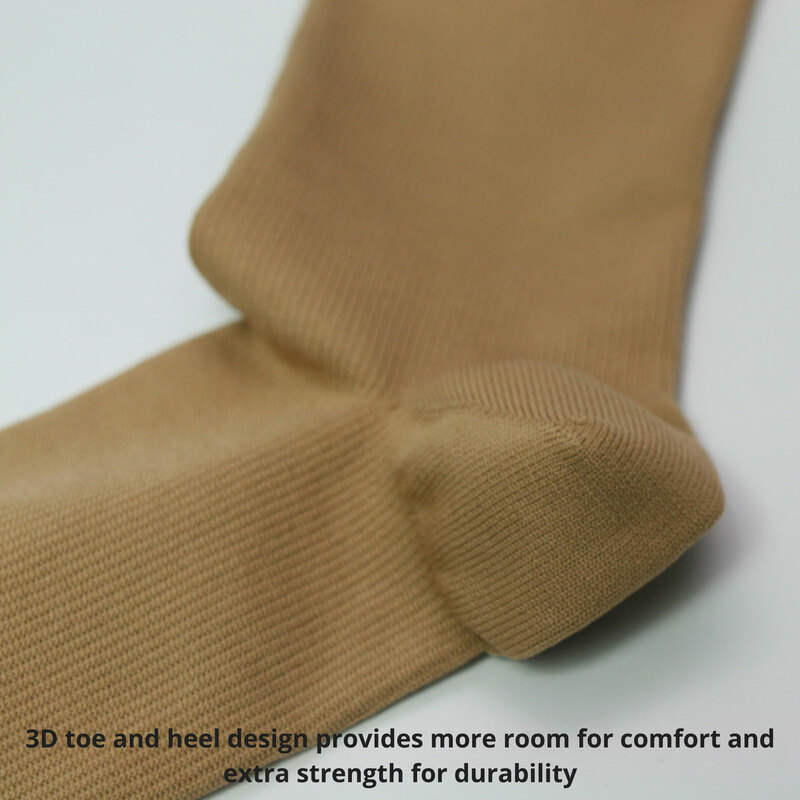 The features I like about the socks are the good quality and how comfortable they are to wear. They kept any swelling down in my legs when flying. I would definitely recommend TXG socks to others. You are based in NZ, your service was excellent, the quality of the socks is great and I loved the very friendly contact. I have been very happy with the Classic sock and now need to reorder new ones after more than 12 months of continued wear. Thank you, they do help and suppress the varicose and spider veins, thanks again. Just writing to say that the socks we bought were great. We put them on here in Porirua and did not take them off until we reached Vancouver some 20 hours later. Our legs and ankles were just fine. We should have put them on from Anchorage to Banff but didn’t and our legs and ankles blew up like puffer fish !! We foolishly thought that as it was two flights and not that long we wouldn’t. Forgot about the sitting around waiting etc. Coming back we put them on in Vancouver and took them off when we reached home in Porirua, our legs were fine. A good investment and would recommend them to anyone. The socks are very comfortable and I feel sure wearing them will protect me on a long haul flight later this week. Very professional attitude to sales, thank you. I have worn these socks twice now. They are very comfortable, feet and calves still feel fresh at the end of the day. I am going travelling in August and that is the reason I got them, sam am sure they have been a worthwhile purchase. I will purchase more. The sox fit BEAUTIFULLY. On behalf of my feet n legs, thank you sooooo much. I am thrilled with my pair of socks and today I am ordering my husbands socks. I will have no hesitation to refer your product. I think your company has the best customer service I have ever experienced and will tell all I meet !! Congratulations and continue to deliver this great SERVICE. My order was for two pairs of the TXG Classic Unisex socks, for my husband and myself. They were purchased for an upcoming long haul flight to Europe. The delivery was prompt and the quality of the socks surpassed my expectations. Their quality and compression are a great improvement on previous flight socks that I have worn. Thank you TXG. I have suffered from tired, aching and cold legs for several years. Of course, I have tried a variety of different medication and treatment, however, none of them brought me any lasting relief. 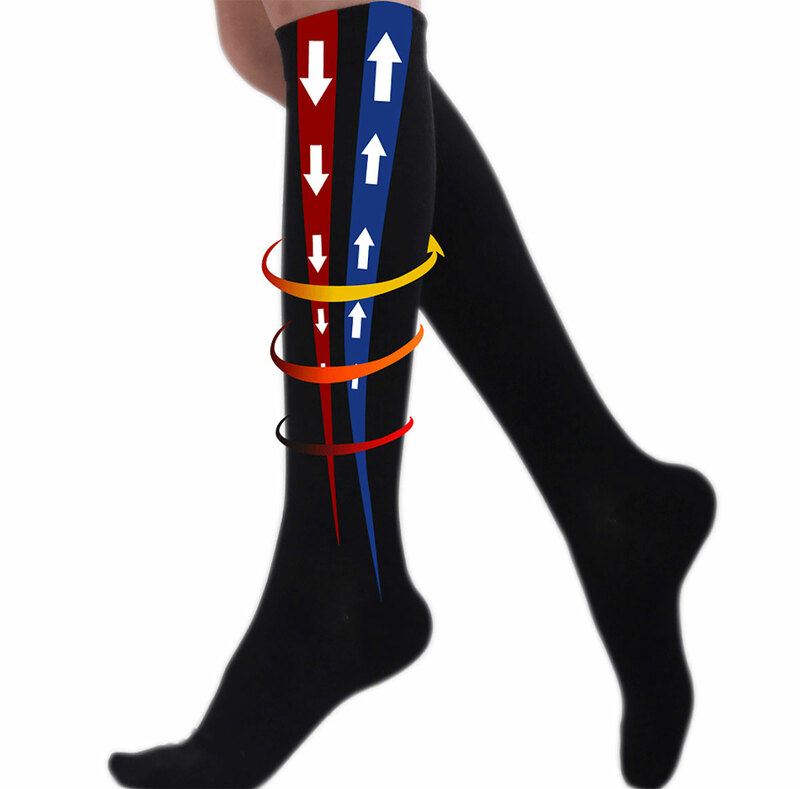 Recently I was given a pair of TXG compression socks as a gift, I have found these to be very helpful and I would recommend them to anyone who may be having similar problems. I would like to let you know that I have received my order in three working days from the date of purchase. I am really happy with them and they are very good quality. I am so impressed by the way I have been treated as a customer. You have been very professional and informative. I would not hesitate to do business with you again and would definitely recommend you to anyone who was looking to purchase some compression socks or any other type of sock you produce. Thank you very much. I was very impressed with the level of customer service and the very useful little gifts that came my way too! The classic socks were great too – great advice on how to put them on and I certainly had a much more comfortable long haul flight this time. Definitely recommended. I bought a pair of the 15-20mmHg Classic Compression socks to wear while flying between Auckland and North Carolina for a business trip. Approximately 25 hours of travel end to end each way. I wore the socks while travelling and for a short walk after arriving, then not at all for the rest of the week. The socks did their job beautifully. My feet and calves swelled very slightly, just enough to indicate that without the socks they would have swelled much more. I wasn’t at all uncomfortable, none of that pressurised “tight skin” feeling I experienced on my last long haul trip. A slight struggle to get on, as it should be with compression clothing and once on the socks are very comfortable to wear. They feel like very well made every day socks. Vastly different than the socks we purchased for my wife to wear post-surgery. I’ll pass these onto her to try and probably lose them. I returned yesterday from a short trip to Sydney. Your wonderful socks made the actual travelling a breeze. In my opinion, your products should be what every airline flying in/out of NZ offers travellers, for both health benefits and travel comfort. Thank you also for the other pleasant surprises during my purchasing experience and follow-up. Your title could also be “Chief Sock Checker and surprise gift giver?” I’m definitely now one of the many satisfied purchasers recommending your product and your excellent personal service and follow-up. Many thanks – keep up the good work. I am 72 and still tramping with a heavy pack on my back, but thought it time to give up as my legs swell and get painful after a day on the track. Also they swell when sitting all day at a computer. So I was extremely pleased when I tried your socks and found how great they are. No more swollen or tired legs no matter how many hours in the garden or at the desk. I have worn my compression socks while walking, playing golf & during the day. They feel as though they hold my legs together quite firmlyand are really comfortable once I have them on. The instructions were brilliant. They work really well and I would like to order another pair. The instructions were brilliant and they washed well. I liked my socks and have decided that I want to buy another pair for longer days. Thank you I am really pleased with the service and product, I really am. You are a pleasure to deal with and have made my day. I have worn my socks for a short trail and they were indeed very comfortable. They felt firm but not uncomfortable or tight. Just received the TXG socks, great service and the letter was a nice personal touch. We are going overseas and needed the socks but horrified at the price in the pharmacy!! A google search led to your website . . . very happy at the price for a quality product. Thanks for the follow up too, nice to have such personal service! I’m a convert – having recently got a pair of compression stockings, they are the most comfortable I’ve used and will be getting more.